Normal fitting. 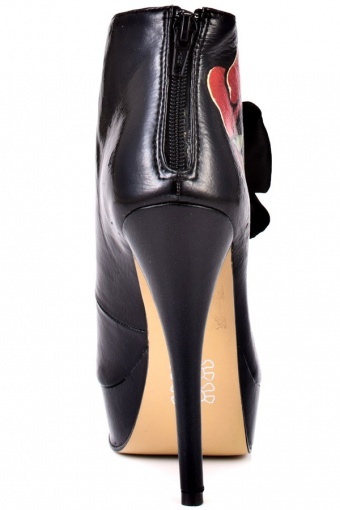 If you are in doubt, please compare sizing with one of your own heels (not your foot). 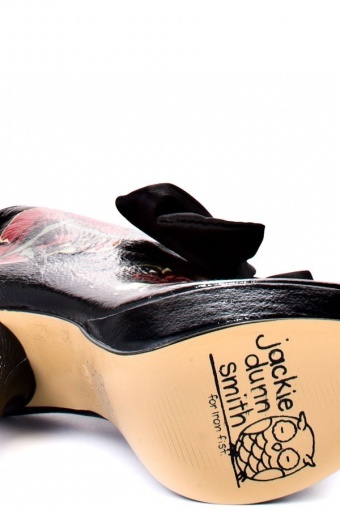 We measured all the shoes and gave the best fitting sizes in our suizeguide. New fall / wintercollection from Iron Fist! 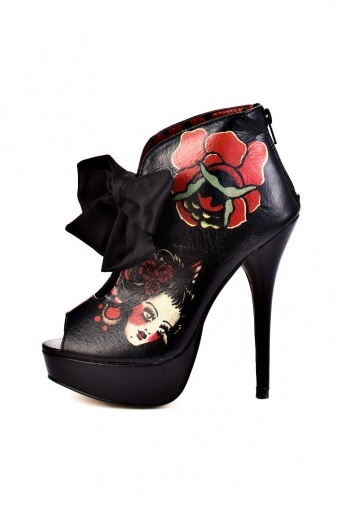 Parting Kiss Platform Bootie black by Jackie Dunn Smith You won't be able to part with these brilliant special edition booties by tattoo artist Jackie Dunn Smith. 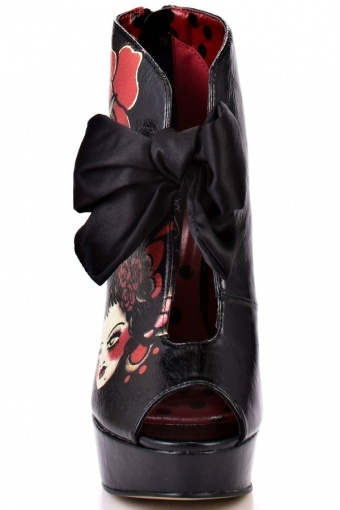 It features a quality black glossy synthetic upper with a beautiful Geisha Doll and floral print. 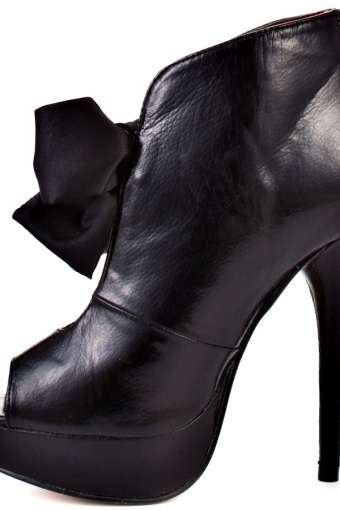 A cut out detail is showcased by a beautiful black satin ribbon to add a feminine touch. Completing this look is a 1 inch platform and a sky high 5 inch stiletto heel. 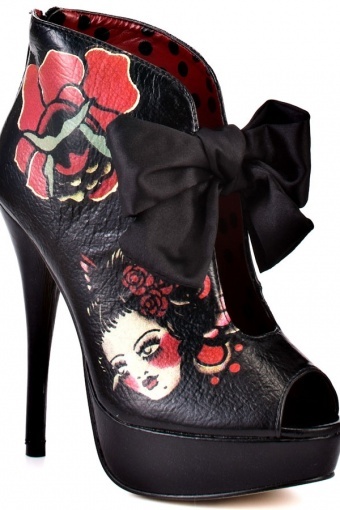 Suprisingly comfortabel for these killer heels!